1 Press ADD TO BASKET and 5kg Premium Chicken Breasts will be added to your basket. 2 COMBINE THIS OFFER with more customer favourites (minimum spend of £25 applies). 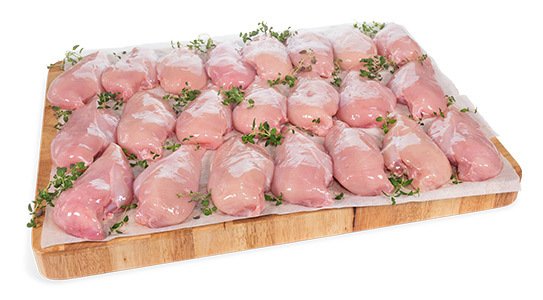 3 Enter code: THEBESTCHICKEN and your 5kg Chicken Breasts will be discounted to £19. 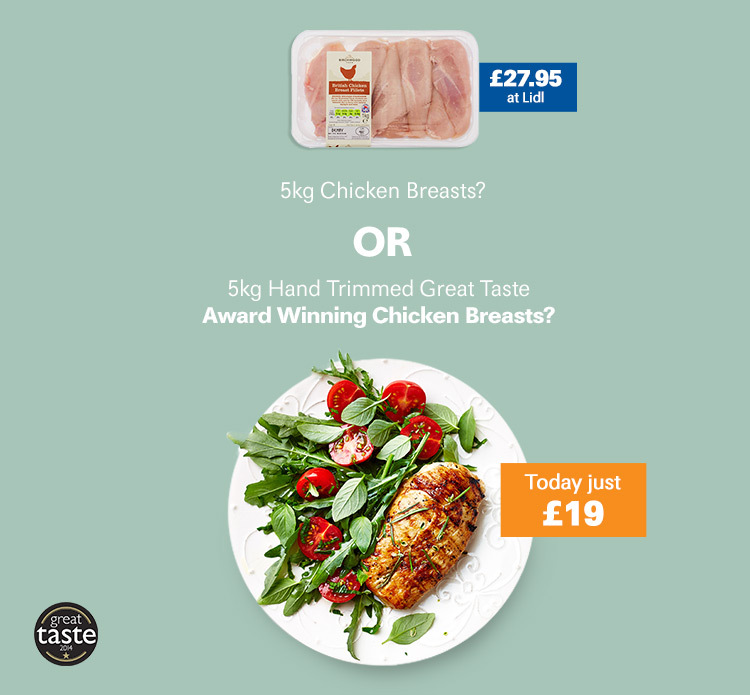 "These really are the tastiest chicken breasts available. The whole family love them. They still taste great after defrosting. No added water and great value." "Exactly as advertised, good quality meat at a great price, delivered promptly on a Sunday which was very convenient. Would definitely buy again." * Normal order conditions apply, including £25 minimum spend for chilled orders after discount and our usual £3.95 standard delivery charge. Maximum one discount code per order. Maximum 5kg discounted per customer. Muscle Food reserves the right to extend or cancel this promotion at any time. 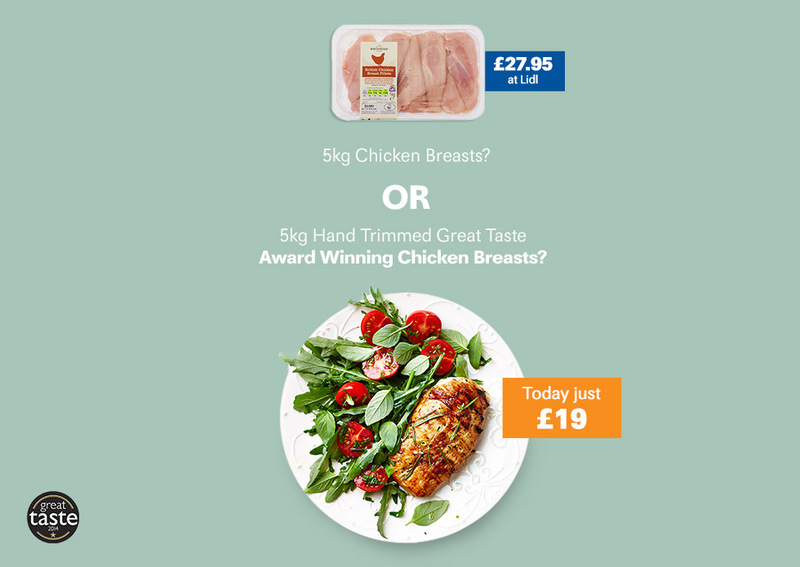 Price comparison was made on 7th February 2017 on MySupermarket.co.uk and in store on a product of comparable quality.